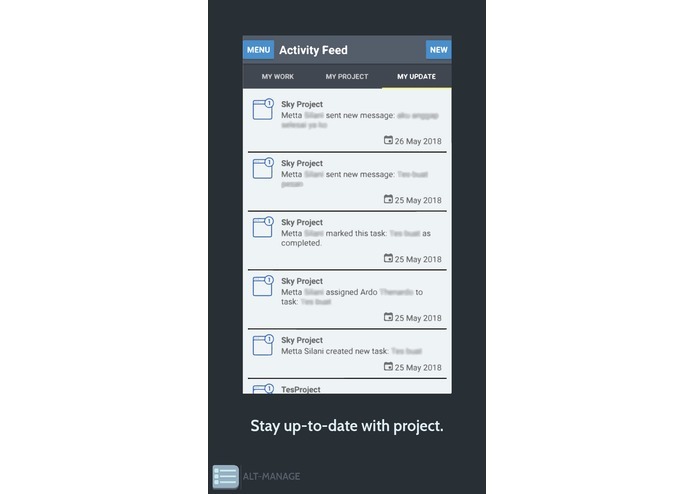 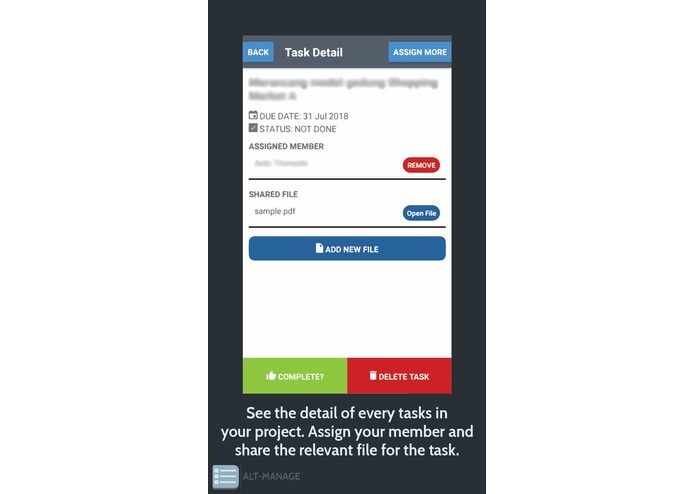 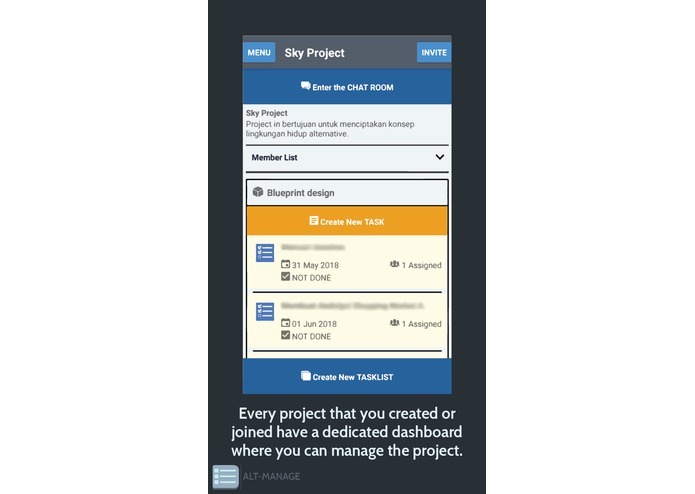 ALT-MANAGE is a small-scale project management appication. 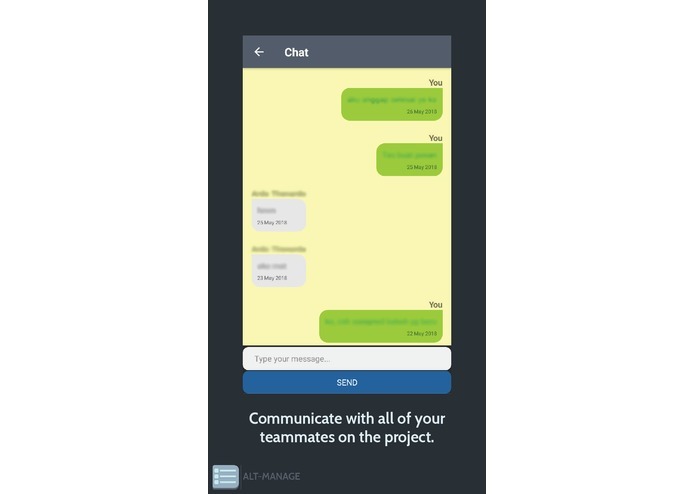 Built with REACT NATIVE and designed for Android mobile device. 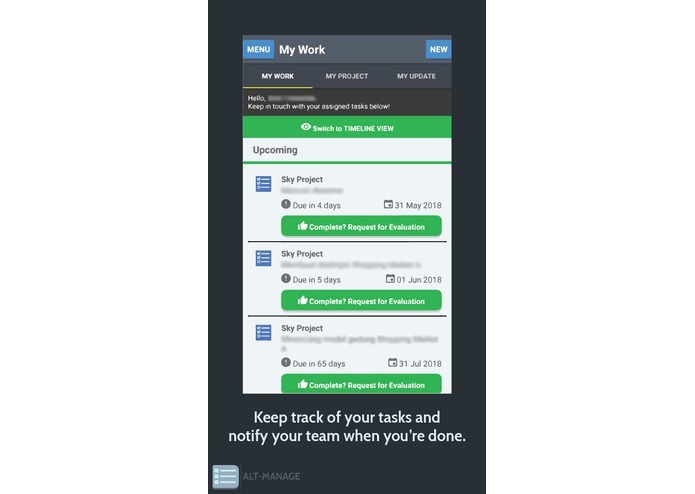 ALT-MANAGE helps people with small team (under 10 peoples) manage and keep track of their project.